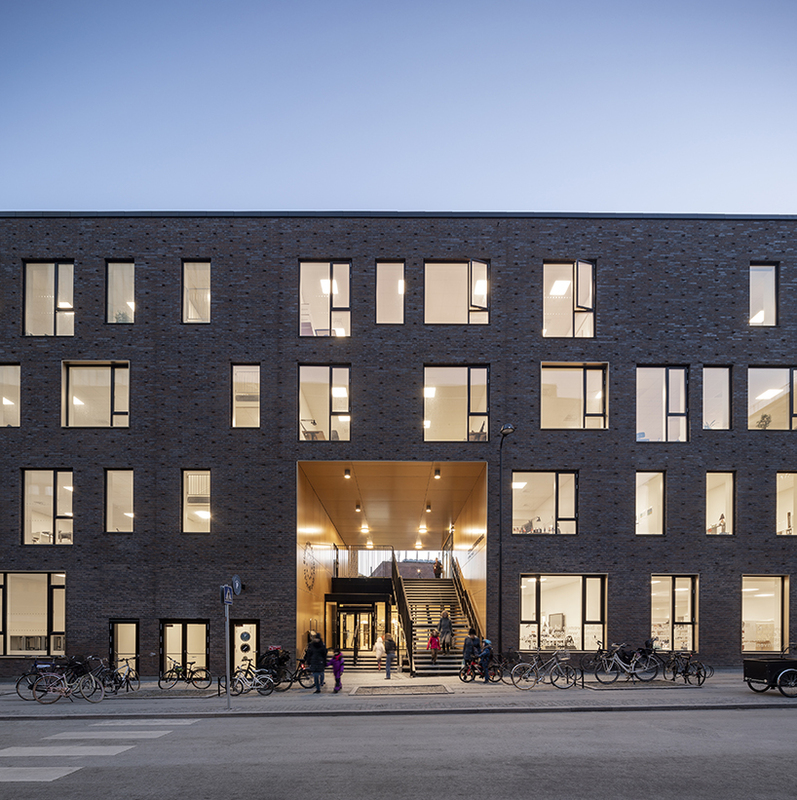 designed by nord architects and vilhelm lauritzen architects, the european school copenhagen is a new international school that promotes modern learning landscapes whilst merging education and city together through open public spaces. 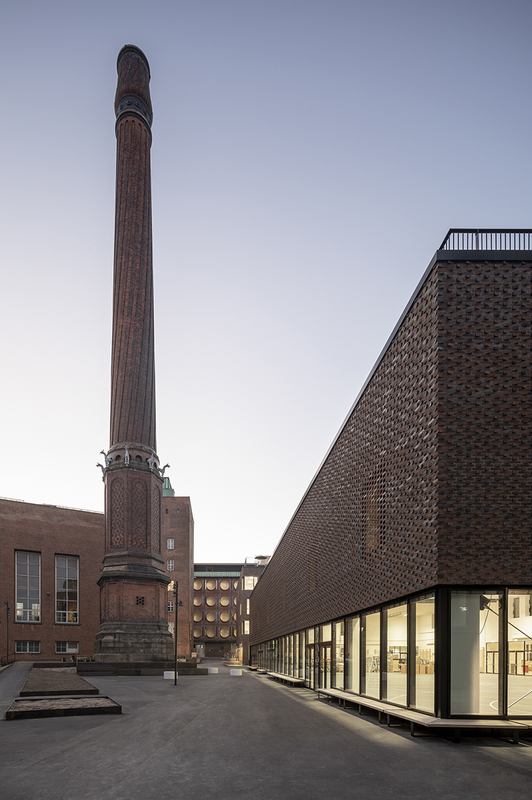 the international perspective of the school is embedded in the local district of carlsberg city with several architectural landmarks and a long history of industrial brewery site. 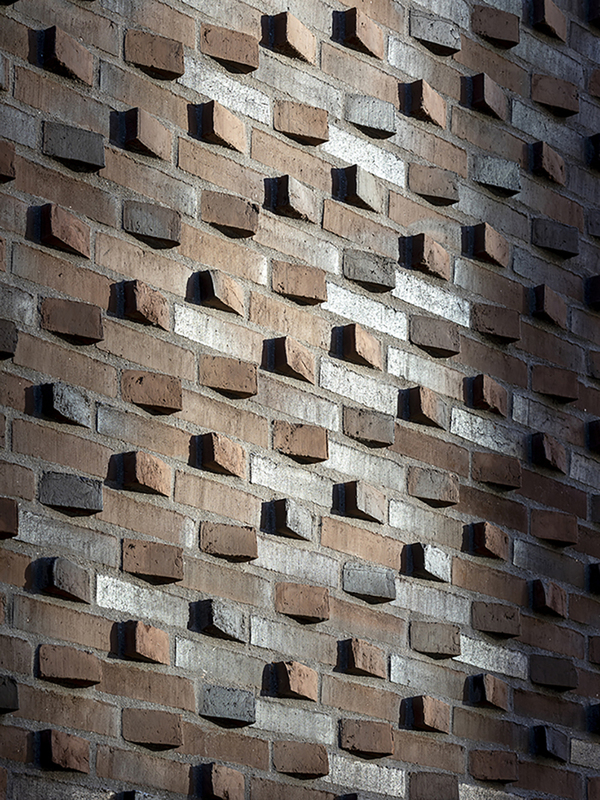 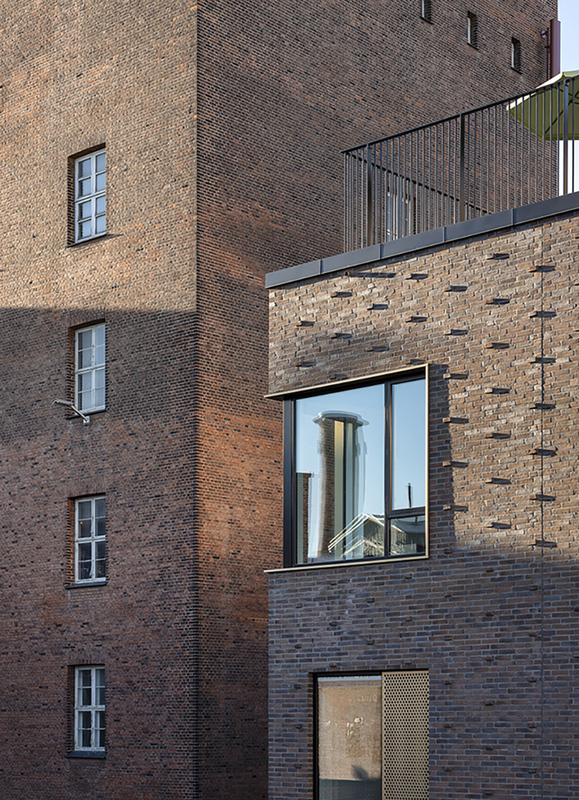 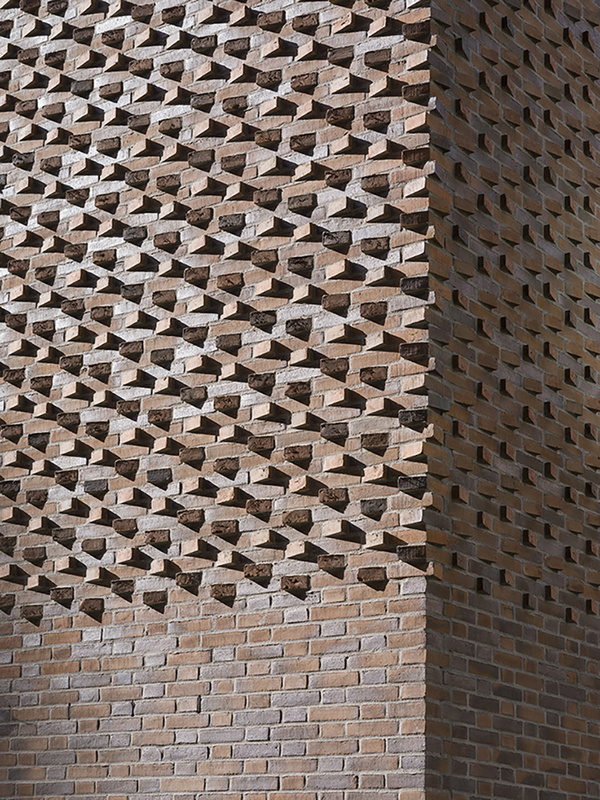 the site is an attractive neighborhood with outstanding and storytelling architecture founded in specific functions and reflecting a fascination with decorative brickwork. 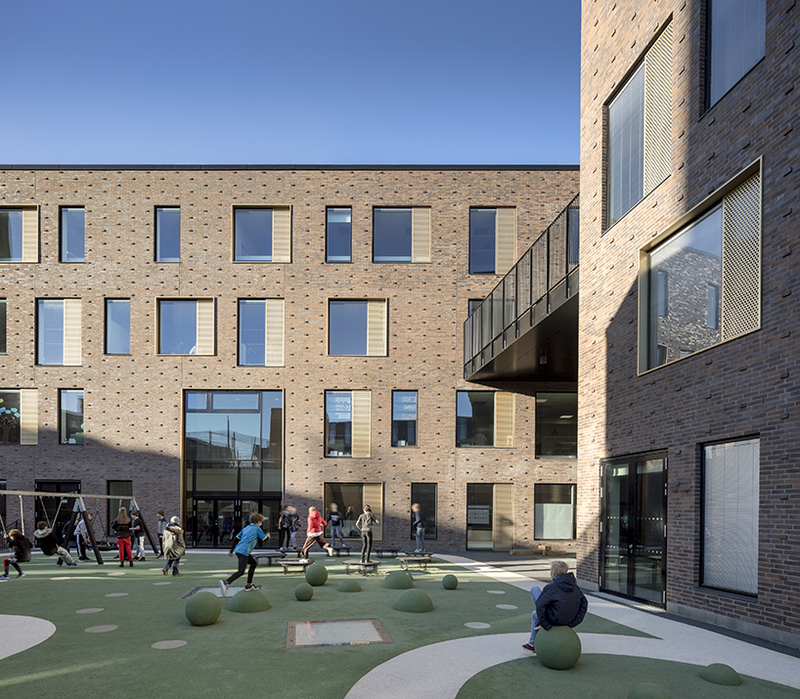 ‘with respect to the historic surroundings, we have maximized school space and created an open, modern and vibrant learning environment – not only for the students. 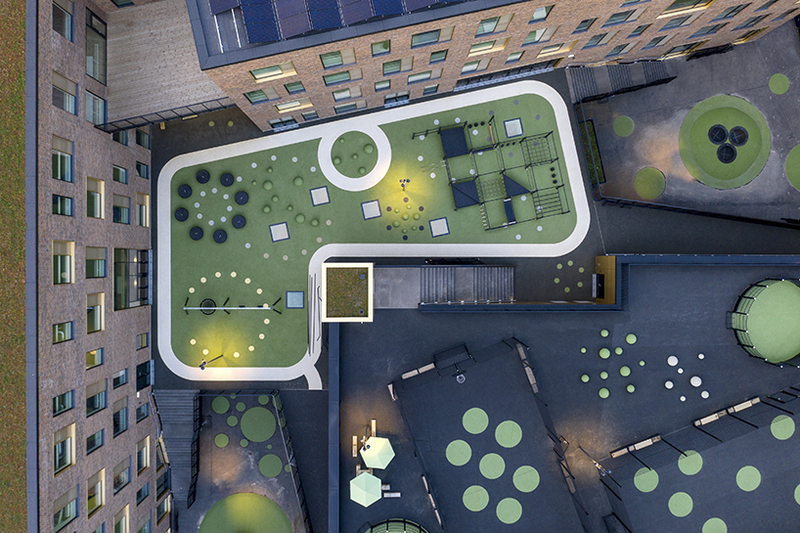 everyone is welcome to use the school grounds. 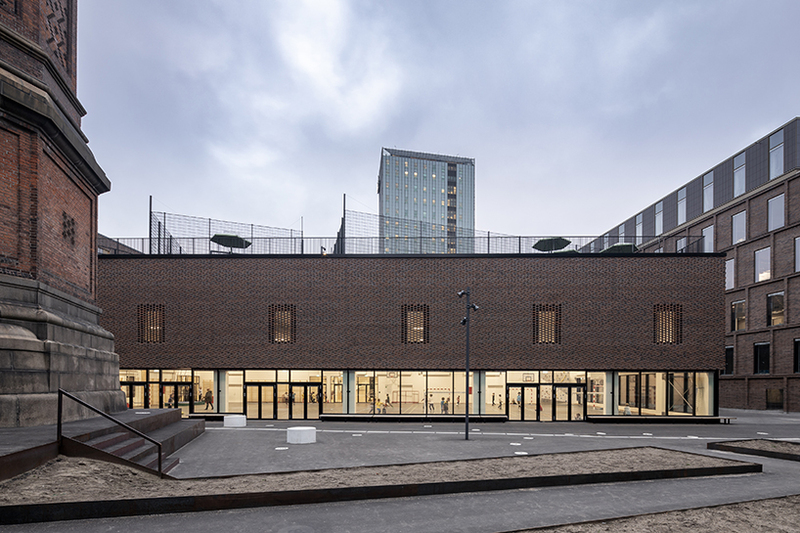 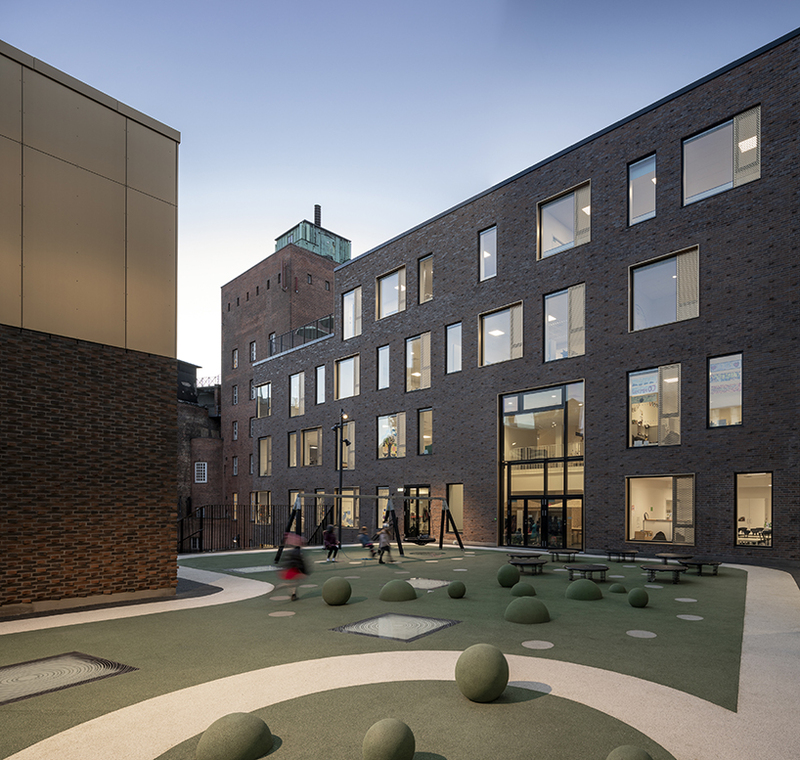 it was crucial for us to create a functioning school that simultaneously interacts with the area and this extraordinary historic site’, says thomas west jensen, partner and architect at vilhelm lauritzen architects. 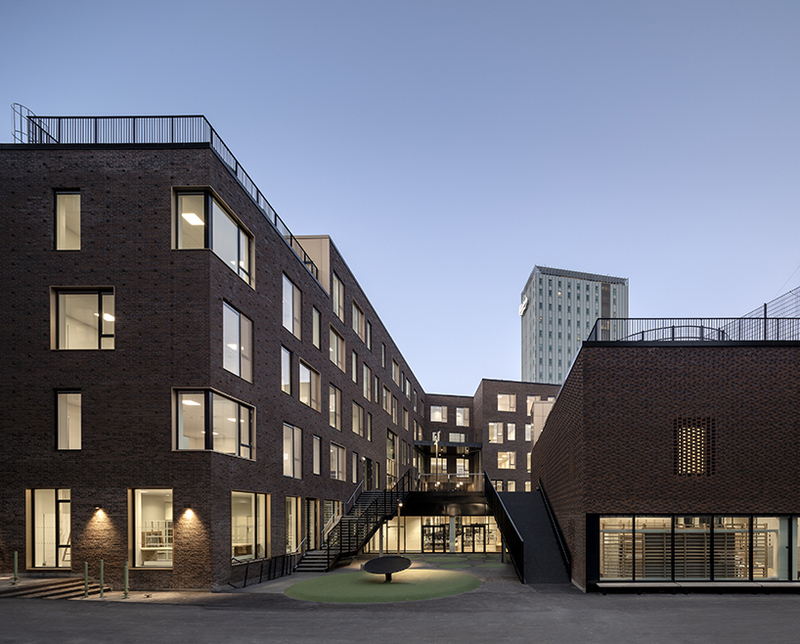 the school’s educational spaces are centered around two major stairs that run vertically through the five floors and unite all classes. 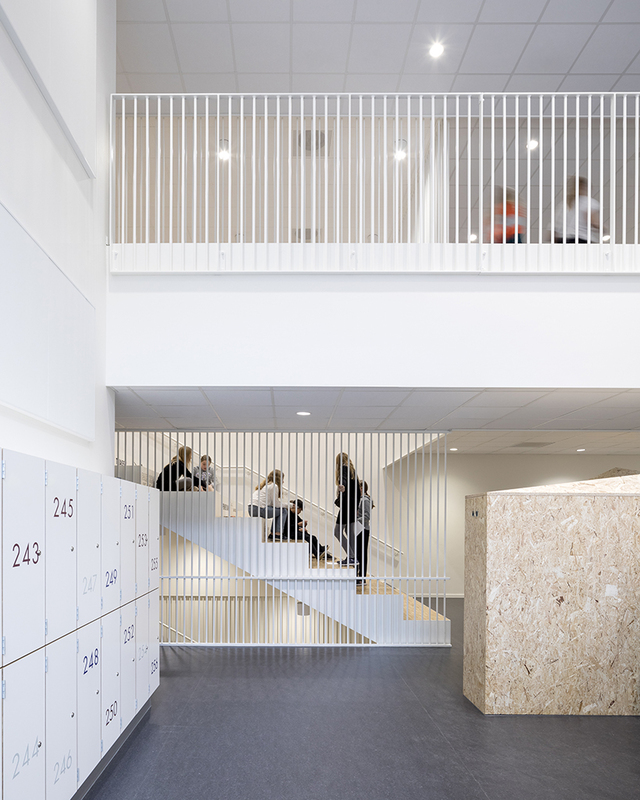 the learning stairs are multifunctional recreational spaces as well as teaching areas for larger or smaller groups of students. 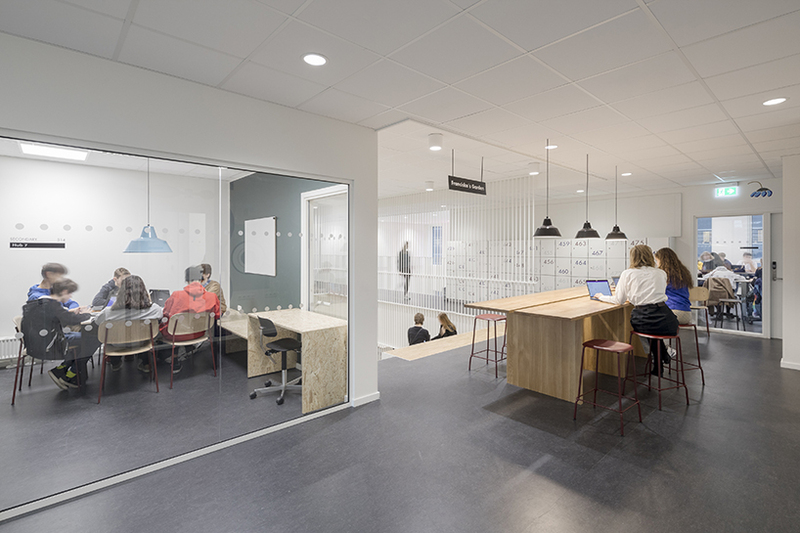 they also provide visual contact and coherence between the different zones and spaces across the classes, highlighting the canteen as a central and social gathering place.